I want all my patients to have a natural and refreshed appearance and don’t want them to look ?operated on’ in any way. That can be achieved often through a combination of surgical and non-surgical procedures and treatments. I take a ?hands on’ approach and try to educate my patients as much as possible about all of their options while also providing them with realistic expectations. And I provide the best care to every patient as I look forward to helping patients meet their individual aesthetic goals and dreams. I offer personalized consultations and procedures to all of my patients. People should be honest with themselves about what can realistically be achieved and what plastic surgery can do for you to improve your image and self-confidence. Dr. O'Brien specializes in Breast Augmentation, Body Contouring, Facelifts, Hand Rejuvenation and Liposuction. Dr. O'Brien’s clinic offers Med Spa services in order to provide a variety of cosmetic treatments to improve the condition of the skin and body. 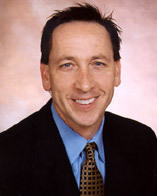 Dr. O’Brien prides himself on providing the highest quality overall customer care experience. Injectables: Botox Cosmetic, Dysport and filler/ injectables: Juvederm?, Restylane?, Perlane?, Voluma?, Radiesse, Sculptra? Med Spa: IPL Photorejuvenation, Facials (Signature European Facial), Acne Facials, HydraFacial?, Thermage?, Microdermabrasion (Crystal), Chemical Peels (Obagi Blue Radiance, TCA, Glycolic, Jessners, Tri-Plex), Dermaplaning, Dermafile?, Advanced Micro (Micro Plus Peel), Red/Blue Light Therapy, SmartXide DOT Laser Therapy, Spider Vein Treatments, VISIA Digital Skin Analysis, Latisse?, CoolSculpting?, Rejuvapen?, Makeup Lesson/Application, Waxing & Brow Tinting.